Take advantage of Summer's crazy-cheap strawberries and blueberries and stock up so you can make this deliciously smooth yogurt smoothie. The fruit adds natural sweetness, and the yogurt makes it rich and creamy. The almonds add healthy fats, fiber, and protein to keep you full, and with a good blender, you won't even notice that they're there. 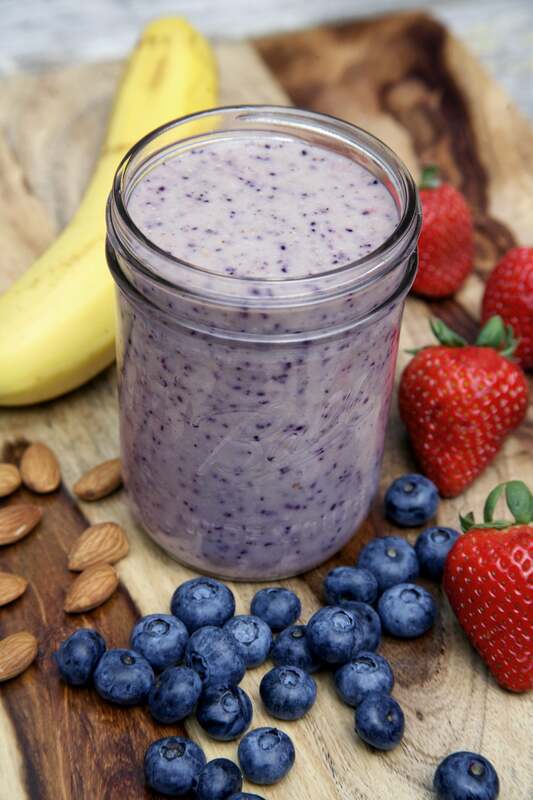 For just over 350 calories, 9.2 grams of fiber, and 15 grams of protein, this makes a delicious and filling breakfast smoothie to enjoy if you're trying to lose weight. If you use frozen fruit, you can skip the ice cubes. Also, this smoothie is vegan, but feel free to substitute regular yogurt. Place all the ingredients in a blender or food processor and blend until smooth and creamy. Enjoy immediately. Take advantage of Summer’s crazy-cheap strawberries and blueberries and stock up so you can make this deliciously smooth yogurt smoothie. The fruit adds natural sweetness, and the yogurt makes it rich and creamy. 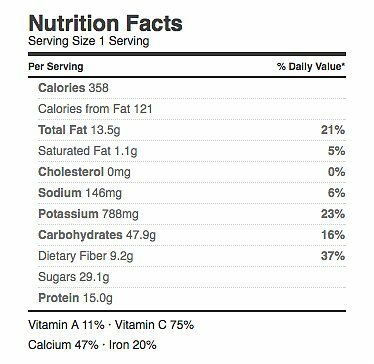 The almonds add healthy fats, fiber, and protein to keep you full, and with a good blender, you won’t even notice that they’re there. 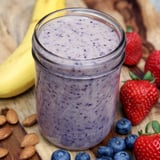 For just over 350 calories, 9.2 grams of fiber, and 15 grams of protein, this makes a delicious and filling breakfast smoothie to enjoy if you’re trying to lose weight.